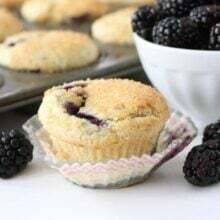 “Do you know the muffin man?” I have that nursery rhyme stuck in my head this morning, because blackberry lime muffins are on my mind. I recently made these muffins for Josh and he declared them a new favorite. 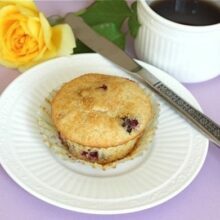 I think you will agree, these blackberry lime muffins are a real treat. 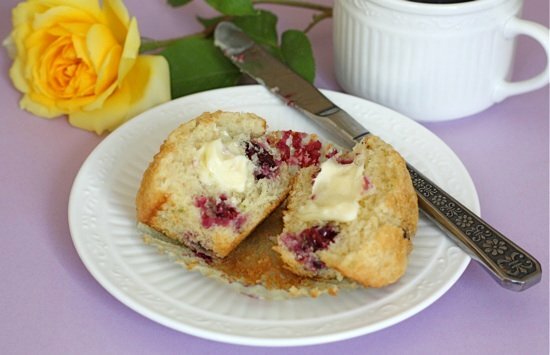 These muffins are bursting with fresh, plump blackberries. 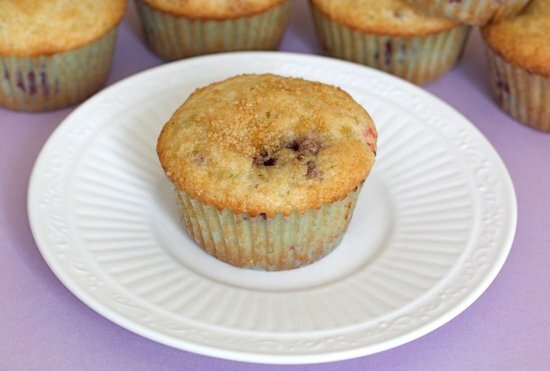 I highly suggest you use fresh blackberries for these muffins. Summer berries are so sweet and delicious right now, and most likely on sale. I purchased a container of beautiful blackberries for 88 cents, a bargain! I had to make these muffins with a deal like that. Blackberry and lime scream summer to me so I added in lime zest and juice to give the blackberries an extra dose of summer love. The sugar muffin tops are pretty and offer a nice crunch. 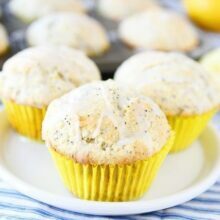 These muffins are divine right out of the oven, but we also enjoyed them the next day. 1. Preheat oven to 400 degrees. Line a muffin pan with 9 paper liners or spray with cooking spray. Set aside. 2. In a medium bowl, whisk together flour, salt, and baking powder. 3. In a small bowl, add the sugar and lime zest. Rub sugar and zest together until fragrant. Add sugar and zest to the flour mixture. Whisk ingredients together. 4. In a glass measuring cup or small bowl, mix canola oil, egg, buttermilk, lime juice, and vanilla extract together. 5. Pour the wet ingredients over the flour mixture. Slowly stir together, the batter will be thick. Don't over mix. Gently fold in the blackberries. 6. Fill 9 muffin cups with the batter. Sprinkle each muffin with turbinado sugar. *Note-you can use frozen berries, but try to use fresh blackberries. They make these muffins extra special. This recipe only makes 9 muffins, feel free to double it. Wonderful muffins and great flavor combo! These muffins look delicious! I love the flavor combo! Blackberry and lime sounds like such a delicious combo! Lovely muffins Maria! I want to try them with raspberries which are my favorite! Raspberry would be good too! Raspberry and lime is one my all time favorite flavor combos, and this one’s right up there with it. So pretty! Ok, these are gorgeous Maria! LOVE that flavor combo, YUM! That sounds scrumptious. I love your stories – so sweet and happy. Have a wonderful day! I just love ALL berries and blackberries are no exception – and adding the lime is terrific!! The perfect summe muffin. Wish I was having one for breakfast right now. YUM! My son will LOVE these – and so will I, of course. Love the addition of lime. Terrific muffins and Great use of flavors. Blackberry and lime sound like the perfect flavor combination! YUM! Those look amazing. If my poor boyfriend wasn’t already feeling overloaded on muffins, I’d run out to the store and buy some blackberries! I’ll bide my time and then BAM! Blackberry lime muffins. 🙂 Thank you for sharing! I love the flavor combo of these muffins. I would’ve loved to have one for breakfast this morning! These muffins look absolutely delightful! I know the muffin man all too well! Sounds summery and delicious. I really need to make some of your muffins. I’d like to know the muffin lady a bit better after reading this. 😉 Blackberries are coming into season. I have a place where I can pick them wild, so I’m thinking some muffins would be awesome. I like the idea of lime instead of lemon with blueberries for a change. Hope to meet you this week at EVO! Ha! I laughed when I read the line apologizing for getting that song stuck in my head, cuz you DID! 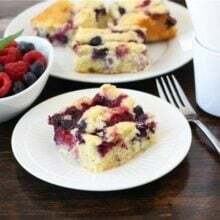 😉 We have blackberries on the brain you and I. I just made a fabulous blackberry breakfast square thingy that was so yummy, posting tonight I hope. Sorry Amanda:) Can’t wait to see your blackberry treat! Ooooh, I’ve never paired blackberries and lime together, but now that I think about it, I’m wondering why not! It sounds like a match made in heaven, especially when it’s a match-up in a moist muffin. those look wonderful! i made a lemon berry muffin yesterday morning! great way to start the day! 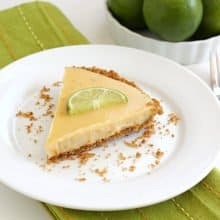 Lime is one of my fav flavors and this recipe looks fab and sounds so yummy. What a great pairing! I really enjoyed your writing in this post, Maria. These muffins look as though they are bursting with flavor from the berries and the lime. Blackberry anything makes me smile 🙂 Beautiful muffins and great idea using the lime. Now you have me humming that fun little song 🙂 The muffins really do sound like a happy way to start the day. Very original. How creative and summery! I love lime in everything these days but I haven’t tried it in muffins yet. Yum! YUMMMMMMM. I want these for breakfast now! These sound so awesome. I may have to forgo my blueberry muffins for these. what wonderful muffins! the blackberries and lime sound like a great combination! Thanks now I have that song in my head- ha ha! Those muffins are so pretty. I want! Love blackberries. They’re my fave berry so you know I think this recipe rocks. I’m totally on your wavelength! I’ve been really craving this duo recently – just whipped up a batch of Key Lime & Blackberry Bites. I just love blackberries and this combination would be a great way to start the day. These look so fresh and delicious…YUM! Ooh. Blackberries and limes in a muffin? That sounds so delicious. Lovely photos! Hey, Maria. I think I’m going to make these for a family reunion. Do you think they would freeze okay with the berries in them? I assume they’d be okay (although I know they’re better fresh from the oven) Also, some of the blackberries are the biggest I’ve ever seen, like 1 1/2 inches long. I think they should probably be carefully chopped in to thirds or something. The lime addition does sound great!